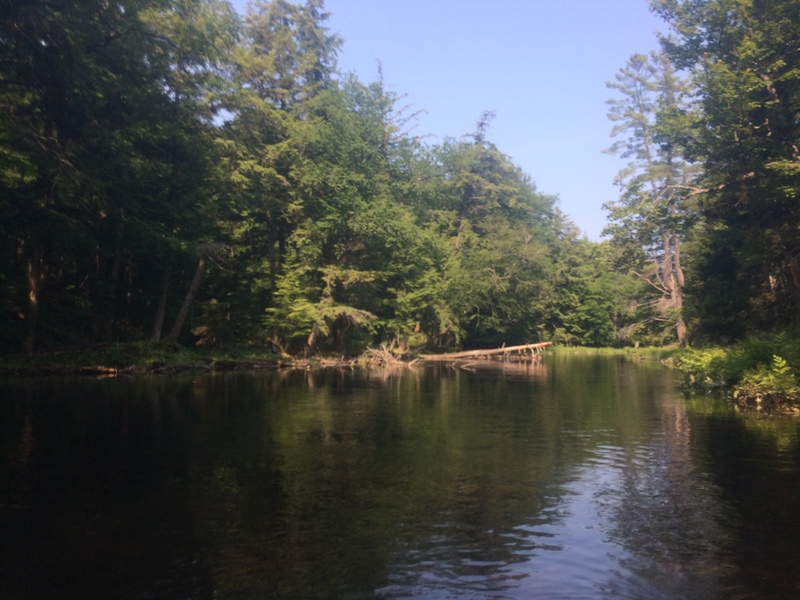 The St. Regis Canoe Area is the only wilderness canoe area of its kind in the northeast, and the only designated canoe area in New York State. Closed to all forms of motorized boats and vehicles, it is a paddler’s paradise, a place where anyone can seek renewal and inspiration in nature. While hiking some remote mountains in the St Regis area, we found the St Regis Canoe Outfitters Floodwood Outpost, a rustic building at the edge of the St. Regis Wilderness. The remote location makes a great jumping-off-place. From this base, several loop trips and numerous one-way trips, ranging from a few hours to over 120 miles are possible. Tim and Nick were very helpful in designing the best day trip for us. We selected (again, see here) the famous Placid Boatworks canoes. They are so light and easily the best choice for our carries across ponds. The St Regis Wilderness Canoe area is a pond-hopper’s paradise. 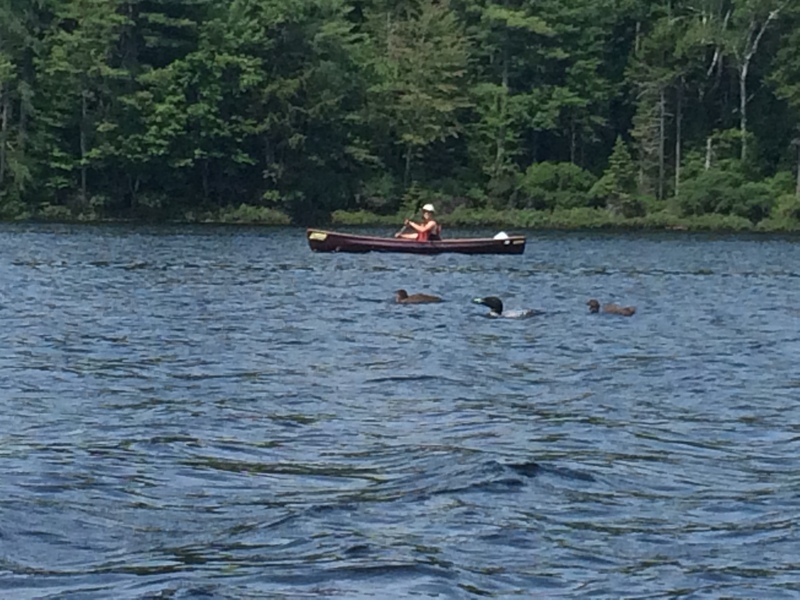 Many carries are short and most canoe routes can be done as an unencumbered day trip. We elected to do a one-day loop, starting at Floodwood Pond, moving through the river into Little Square Pond and Fish Creek, then across to Follensby Clear Pond and Pollywog Pond, and back to our starting point. That included a few carries, about a half mile each, some involving several uphill stretches, none too steep however. We saw plenty of birds (eagles and loons), bathed in these transparent waters, paddled with a loon family (the parents fishing for their chicks) and relaxed on “private” islands with nobody around. What a great day! Ten years ago, we started hiking the Adirondack mountains. As beginners, we started with mountains that were not part of the High Peaks. At the time, Hurricane Mountain seemed like a good choice. Well, I found the climb steep and very difficult. Needless to say, when we decided to go back at it this month, I was a little bit concerned. 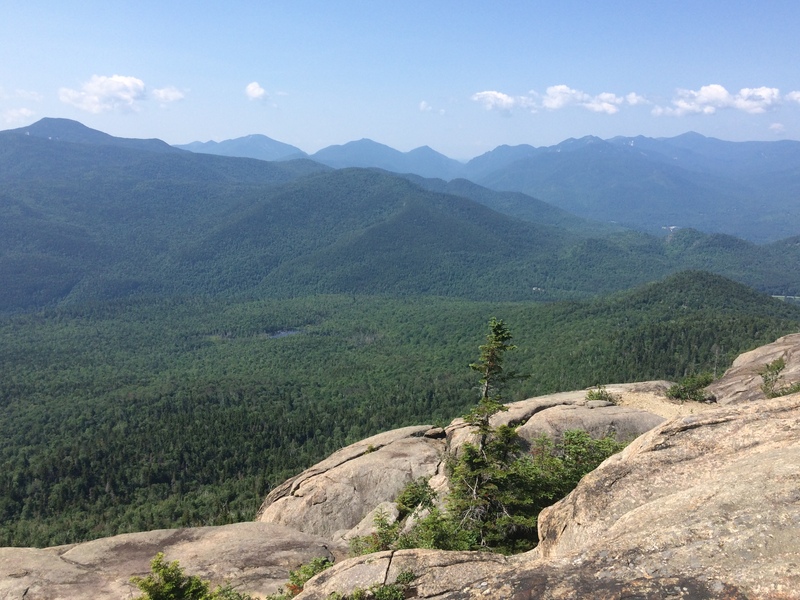 Hurricane Mountain isn’t a high Peak at 3694 feet, but it’s still a really great and popular hike in the Adirondacks. It is one of the lowest bald peaks in the area with the tree line at about 3450 feet at the main trail junction. It also offers great views of most of the lower great range. This peak offers a huge open summit with spectacular views. 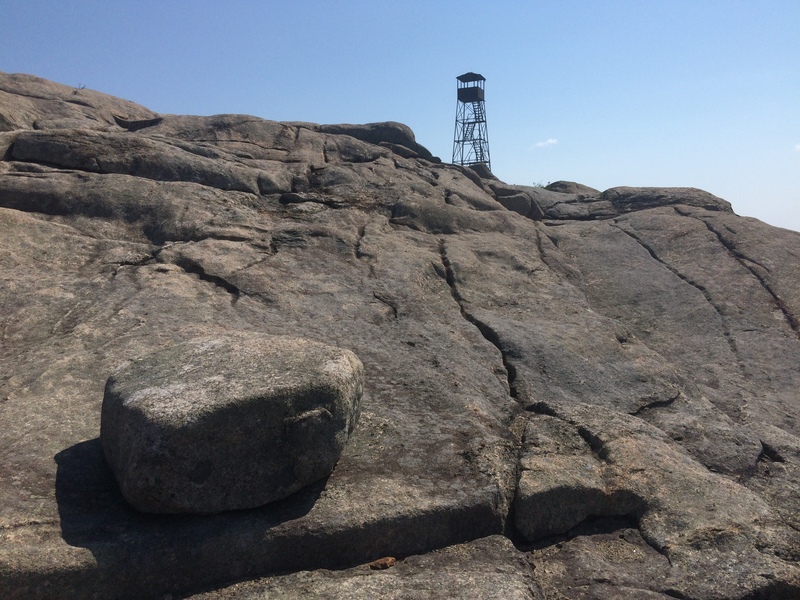 Also, on top of the mountain, you’ll see one of the few remaining fire towers, which was discontinued for use as a fire observation station in 1979. By the time we got to the Route 9N trailhead outside of Keene, the air was feeling cool but the sky was totally blue. Knowing that we had a hefty 2,000 ft. to climb in just 2.6 miles, we set out on the trail with our spirits high. Our spirits were quickly humbled by the immediate vertical climb that welcomed us. After this initial altitude jump, we enjoyed a brief respite from the vertical climb, by way of a relatively easy stroll through flatlands that were filled with a large pond (caused by beaver dams). It was all uphill from there. The trail went straight up the mountain again, utilizing various old riverbeds and other rocky-havens, looking like we climbed over 1,000 vertical feet in just under one mile. Finally, after roughly two-hours from parking, we set foot on the bald, rocky peak. Having climbed a fair share of peaks in the park by now, I can happily report that Hurricane is one of the best views I’ve experienced in the park, and definitely the best view from a peak that is not included in the 46 highest (Hurricane is #72). 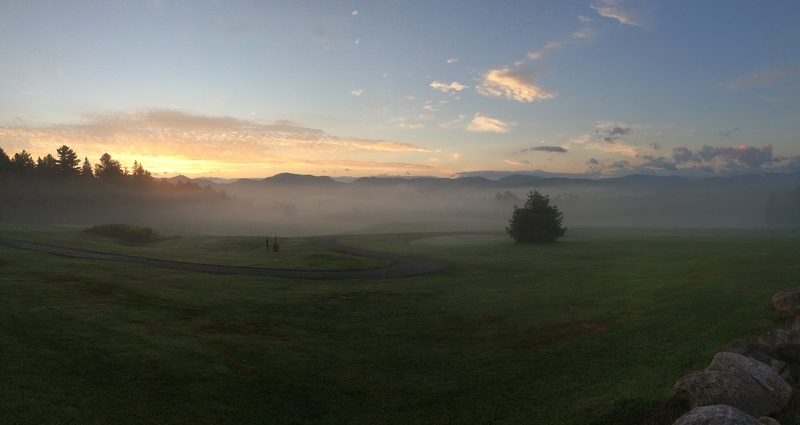 The 360-degree view includes both the High Peaks, Whiteface and Vermont (Lake Champlain and the Green Mountains). 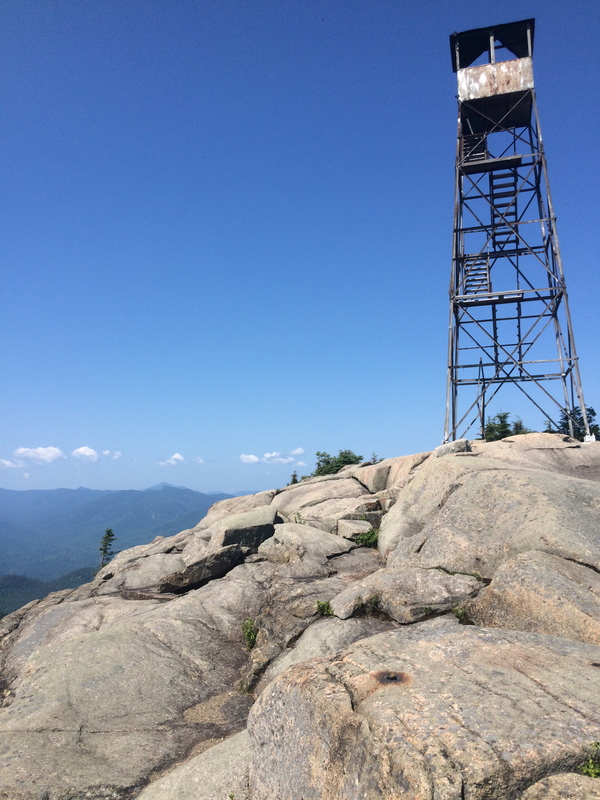 This, coupled with the abandoned and rusting firetower, make this a day-hike not to be missed.